After the Delight3 and the Skypper2, SUPAIR is proud to announce its latest harness : the ACRO 4 ! 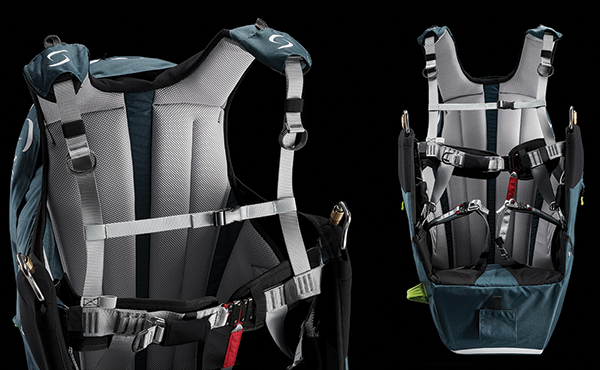 Tested and approved by our Acro team pilots, it succeeds the ACRO3 to become the benchmark in the Acro harness arena. Raul Rodriguez, Horacio Llorens, Tim Alongi and Théo de Blic, have all participated in the development of the ACRO4 in close cooperation with our R&D team. From a technical point of view, this new version is equipped with shoulder straps locking onto the chest strap, an expendable dorsal pocket to increase the storage area, and extended bigger riser sleeves among which some are made of stretchable material to accommodate all types of riser designs. The ACRO 4 is better equipped than its predecessor and thus is delivered with more accessories (protection kit, carabiners, risers, extra reserve parachute handle, seat plate, etc.). The Supair ACRO 4 is available to order now for a price of 775 € excluding tax, and the first medium (M) sizes will ship out soon.